SOMALIA, HUDDUR 21.05.2006 PHOTO: ESPEN RASMUSSEN Huddur in the southwestern parts of Somalia. The country has been without any government, any healtcare or schools since 1991. There is a high level of violence in the area, with regular clashes between different clans. 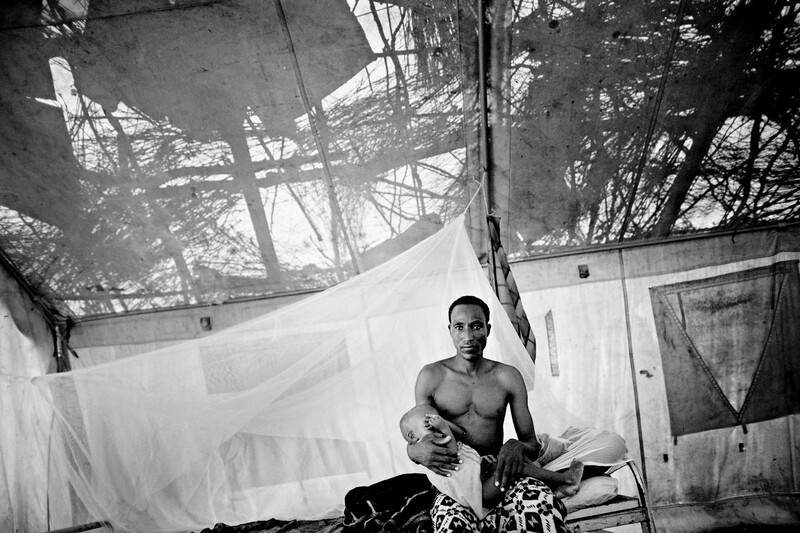 A father with his child in the MSF healt centre in Huddur. Because of a lot of patients, many of them have to sleep in tents. Now, the father is waiting to be transferred to the health centre building.